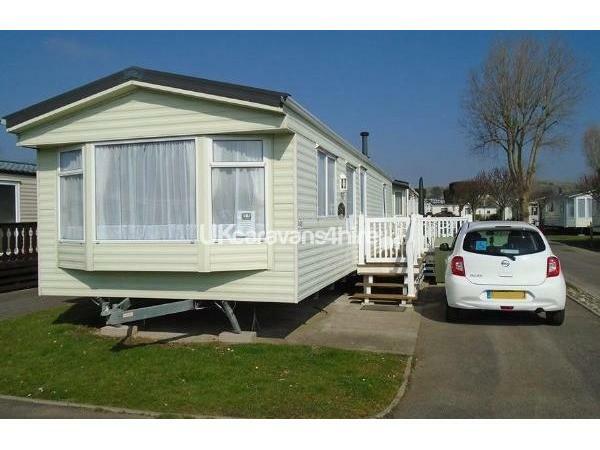 Five star caravanning holiday for the whole family with this six berth caravan you can relax in comfort. 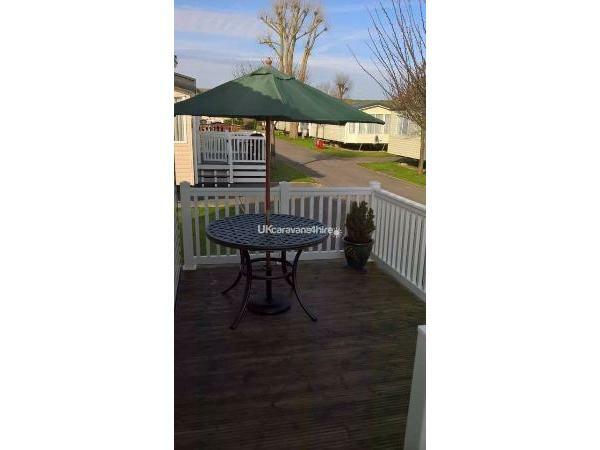 Situated in Waterside Holiday Park in Bowleaze Cove just outside of Weymouth. The resort offers an affordable and fun filled experience for all age groups with on site amenities such as two fully licensed clubrooms nightly entertainment, a fun fair, children’s entertainment, swimming pools, restaurants, shops and much more. 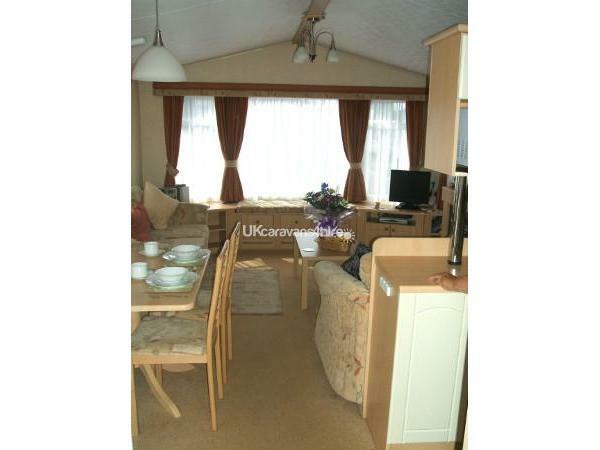 Our Modern and clean caravan is available for hire, this is owned privately, not by Waterside. 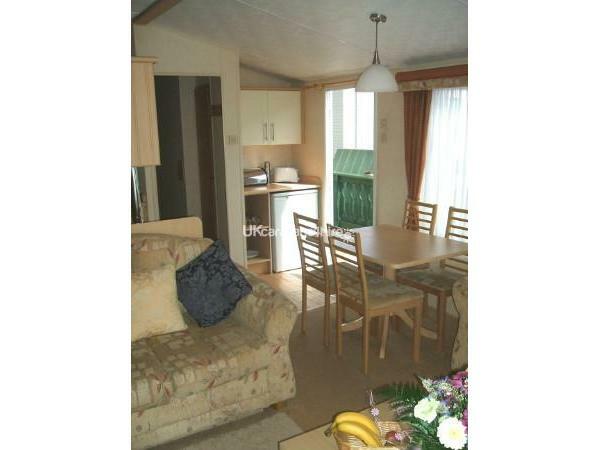 The caravan can accommodate up to six persons and is perfect for any family holiday in Dorset. 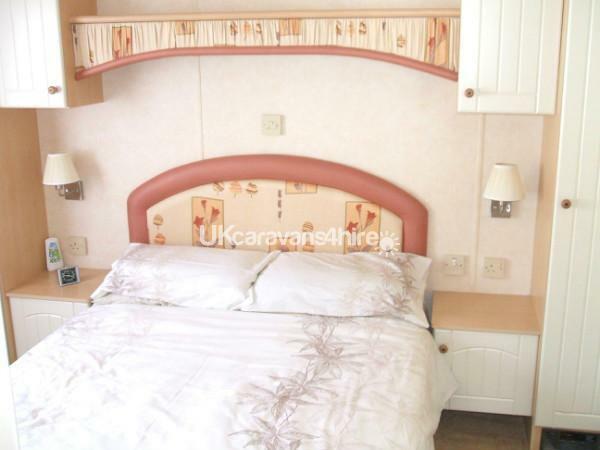 The caravan consists of 2 bedrooms - one double, and one twin bedded room, a pull-out folding double bed is available in the lounge area. Each bedroom has its own storage/wardrobe space. Pillows, duvets, you will need to bring your own covers for these. 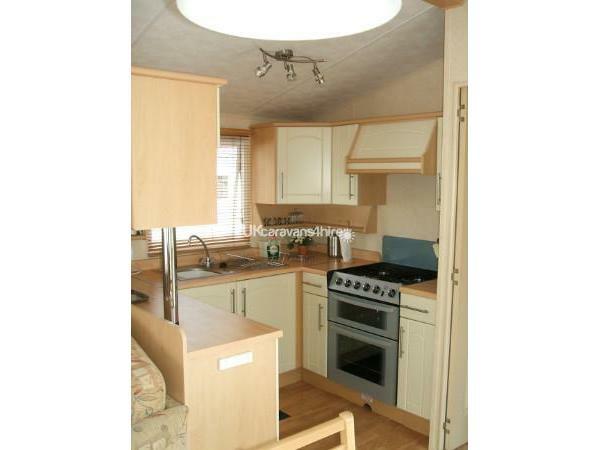 The caravan is fully equipped with a modern kitchen area, 4 seater table and chairs, three seater and a two seater settee’s, full size gas cooker, fridge, microwave, kettle, pots & pans and all the crockery and utensils. 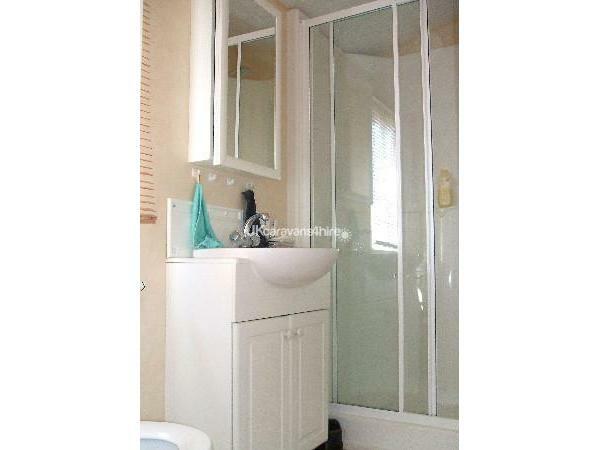 The bathroom has a large shower with a power shower, and is entered either from the hallway or from the main bedroom. Access to the van is vir a steeped veranda, the south facing veranda can be enjoyed for relaxation equipped with furniture. 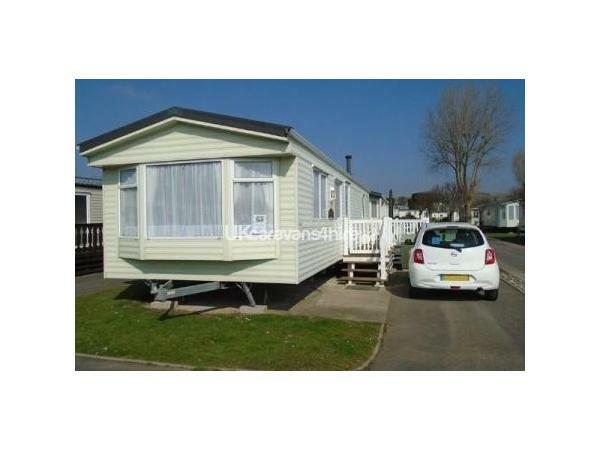 Caravan is situated in quiet area of park only a 2 minute walk to reception/bars site entrance and sea. Parking is available alongside the van, in tarmac bays. Wi-Fi available please ask at reception. STRICTLY NO PETS, NO SMOKING. ARRIVAL/DEPARTURES - Arrival time is from 2pm, Departure time is before 10.00am. This allows cleaners time to clean between changeovers. PAYMENT INFORMATION - A £60 Deposit is required on booking. This must be received within 7 days to confirm the booking. This is non-refundable. Remainder of balance to be received not less than 28 days before commencement of holiday, Booking will be cancelled, and deposit forfeited, if payment is not cleared by this date. A payment request will be sent at least 28 days before holiday commencement together with all information needed regarding caravan keys etc. All we ask is that you enjoy yourselves and treat our van with the respect that it deserves. Thank you.